Sebring is a city in Highlands County, Florida, United States, nicknamed "The City on the Circle", in reference to Circle Drive, the center of the Sebring Downtown Historic District. Built around the shores of beautiful Lake Jackson, the city owns and maintains six parks and recreation areas, three public beaches and a boat ramp. The focus of the city centers on Circle Park in downtown, a favorite and traditional location for many events and activities throughout the year. A city beach with shelters and a historic pier located behind the Cultural Center provides additional opportunities for varied recreational pursuits. The city has a pedestrian and bicycle path around Lake Jackson, providing over 12 miles of safe walking and riding while enjoying the lakefront. Highlands County is home to South Florida Community College with its main campus is located just north of Sebring in neighboring Avon Park. Information courtesy of The Greater Sebring Chamber of Commerce website. Whether you are a full-time or part-time Sebring resident, you will find a variety of residential housing options in charming Downtown Sebring. From historic apartments overlooking the Circle Park to new, Spanish-style condos overlooking beautiful Lake Jackson to single-family homes in all price brackets, the housing choices in Downtown Sebring are plenty, which makes enjoying Downtown’s art, culture, dining and recreation amenities that much more convenient. To assist with the preservation of Downtown Sebring’s historic properties, the Community Redevelopment Agency (CRA) offers several grant programs to homeowner. For a complete list of available property for sale and lease in Downtown Sebring, please contact the Community Redevelopment Agency (CRA) office at (863) 471-5104. The above information can be found at the Downtown Sebring website. In 2010, the United States Census Bureau a population of 10,491. It is the county seat of Highlands County, and is the principal city of the Sebring Micropolitan area. As of the census of 2000, there were 9,667 people, 3,969 households, and 2,305 families residing in the city. The population density was 1,883.7 per square mile. There were 5,024 housing units at an average density of 979.0 per square mile. The median income for a household in the city was $23,555, and the median income for a family was $29,915. As of 2000, speakers of English as a first language accounted for 89.39% of residents. Other languages in the city included Spanish, spoken by 10.18% of the city's residents, and French, spoken by 0.42%. Information from Wikipedia. 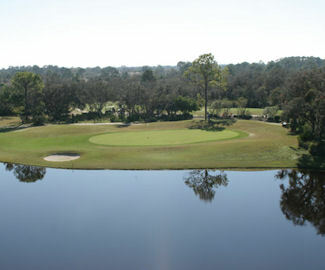 Spring Lake Golf Resort offers the best values in lodging and championship Florida golf packages. Its central location in the historic town of Sebring, just 60 miles south of Disney World, combines a great climate with small-town atmosphere. Sebring Raceway is one of the oldest continuously-operating race tracks in the United States, its first race being run in 1950. Sebring is considered to be one of the classic race tracks in North American sports car racing, and plays host to the 12 Hours of Sebring, one of the legs of the unofficial triple crown of endurance racing. 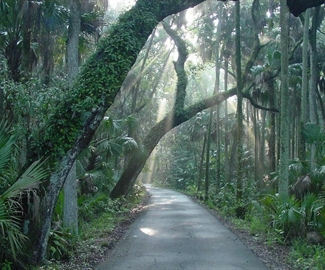 Highlands Hammock State Park is Florida’s oldest state park offers camping, picnicking, hiking, biking, cycling, horseback riding, wildlife viewing, tram tours, plus a museum dedicated to the accomplishments of the men and boys of Civilian Conservation Corps during the 1930s and early 1940s. Airboat Wildlife Adventures, located at Neibert's Fishing Resort, provides 1.5 hour-long airboat ride tours to present a diverse range of scenery and Florida wildlife. 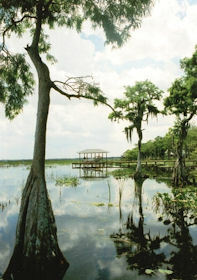 Tour areas include Lake Istokpoga and the beautiful Arbuckle Creek. Frog gigging trips, gator and duck hunting trips are also available. Call for reservations (863) 655-4737. Lakeshore Mall is a regional mall located in Sebring, FL that features food, entertainment and shopping for the whole family. Enjoy a movie at the theater, Carmike Cinema 8 and shop at our many great stores. For a list of Sebring area restaurants with contact information, specialty items, and hours of operation, visit the Highlands County Restaurants website. Local print media include the News-Sun, a newspaper published on Wednesday, Friday, and Sunday, and Highlands Today, a daily local supplement to The Tampa Tribune that covers newsworthy events in Highlands County. For additional information on things to do in Sebring visit the Highlands County Visitors & Convention Bureau website. 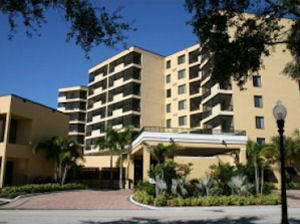 The Palms of Sebring is Highlands County's only retirement community offering three levels of living. We offer Independent living and Assisted living in spacious, private apartments, Skilled nursing care in a 120-bed on-site Health Care Center, specialized services, Home health services and short- and long-term rehabilitation services. The Palms of Sebring provides peace of mind that comes from true continuity of care. Owned and operated by Sebring Senior Care, LLC, The Palms of Sebring is a proud member of the Sebring community for nearly 50 years. We are located on a beautiful campus with views of Lake Jackson in historic downtown Sebring. At The Palms of Sebring, it's easy to try a new activity, pursue a favorite pastime, attend a special event, explore our beautiful campus, or simply spend more time with family and friends. Sun ‘n Lake Golf Club retirement community is home to friendly neighborhoods and two renowned championship golf courses—Deer Run and Turtle Run. Sun 'n Lake is a refreshingly inclusive community set in a beautifully landscaped setting where active retirees and young families enrich each other’s lives. Amenities include tennis and pickle ball courts, fishing, model boating, an island pavilion, picnic areas and other outdoor activities. can join your friends for cards, crafts or conversation. The choice is yours. Sun 'n Lake is located in the “Heartland” of Florida surrounded by uncrowded natural beauty and charming towns, with only a short drive to nearby attractions.